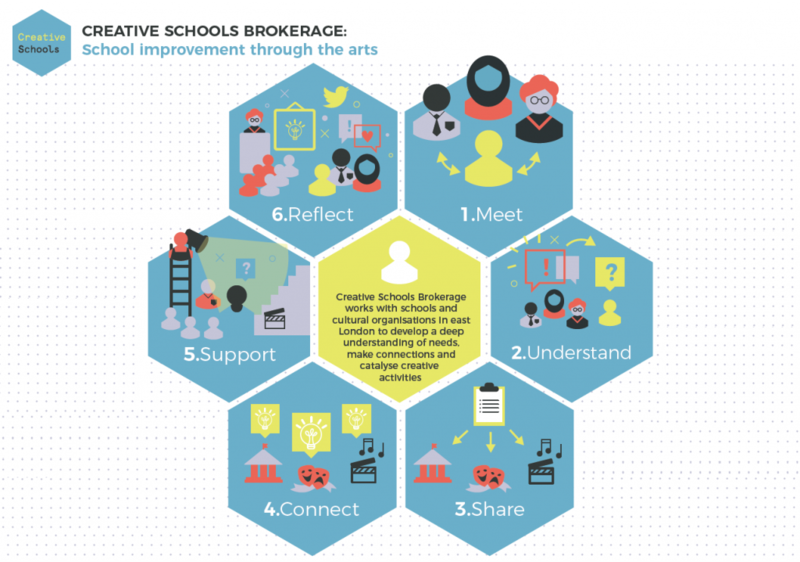 Creative Schools Brokerage, led by Stratford Circus Arts Centre, worked with east London schools to support their needs and priorities through the arts by better connecting them with east London’s creative opportunities. As part of the Creative Schools brokerage offer, teachers and senior leaders took part in needs analysis with the Creative Schools team to understand current cultural education practice in their school, identify top needs and priorities for school improvement, and align with the Artsmark journey. Regular networking and partnership events provided additional opportunities for a broader range of east London schools to access the Creative Schools network of organisations and benefit from peer learning and knowledge exchange. 250 east London teachers, senior leaders, arts practitioners and cultural education experts came together at day long events held at Stratford Circus Arts Centre in 2016 and 2017. Hear from Symposium participants in the below film and podcast! Listen to east London teachers and education leaders inspiring stories of creativity in the classroom, shared as part of the 2017 Creative Schools Symposium. Creative Schools is supported by Esmée Fairbairn Foundation, City Educational Trust and Foundation for FutureLondon. © 2016 Creative Schools. All rights reserved.